Description: LIGHT FOX 100W CREE SINGLE ROW LED FLOOD SPOT CURVED LIGHT BAR OFFROAD 4×4 ATV UTV S.. 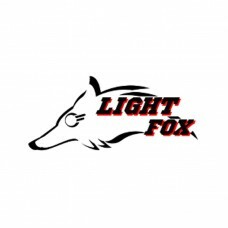 Description: LIGHT FOX 11INCH 60W CREE LED WORK LIGHT BAR FLOOD SPOT OFFROAD DRIVING LAMP 4WD SUV.. Description: LIGHT FOX 120W CREE LED ALLOY WORK LIGHT BAR COMBO BEAM 4WD BOAT UTE DRIVING LAMP .. Description: Product Highlights New 4D Optical Lens The Ultra 3W Cree LED projector bea.. Description: Product Highlights Adjustable Mounting Brackets. Applying to difference li.. Description: LIGHT FOX 120W LED LIGHT BAR WHITE AMBER FLOOD SPOT WORK OFFROAD DRIVING I.. Description: LIGHT FOX 126W CREE LED WORK LIGHT BAR FLOOD SPOT OFFROAD DUAL MOUNTING 4WD SUV FC 1.. Description: LIGHT FOX 12INCH 50W CREE LED LIGHT BAR FLOOD SPOT OFFROAD WORK UTE 4WD FOG BOAT 12V.. Description: LIGHT FOX 12INCH 72W CREE LED BAR WORK LIGHT FLOOD 4WD OFFROAD DRIVING BOAT 12V 24V .. Description: Product Highlights: Adjustable Mounting Brackets. The suitable design for .. Description: LIGHT FOX 12INCH 72W CREE LED WORK LIGHT BAR COMBO BEAM LAMP SPOT FLOOD 4X4 4WD 12V .. Description: Product Highlights Casting Aluminum Alloy Housing The Quart Lens with high.. Description: Product Highlights Stainless steel mounting brackets. The suitable design .. Description: LIGHT FOX 144W CREE LED WORK LIGHT BAR FLOOD SPOT OFFROAD DUAL MOUNTING 4WD SUV FC 1.. Description: LIGHT FOX 160W PHILIPS LED SPOT FLOOD BEAM LIGHT BAR WORK LIGHT OFFROAD LAMP 4WD 134.. Description: LIGHT FOX 17INCH 216W CREE LED WORK LIGHT BAR SPOT FLOOD LIGHT 4x4 OFFROAD UTE ATV 1..